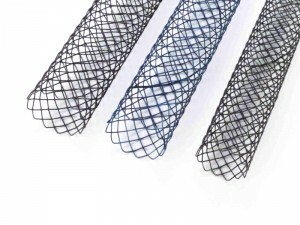 The DexStent-TN is a self-expanding braided stent system composed of a highly flexible Nickel-Titanium Alloy (Nitinol) stent mounted on a coaxial delivery system. 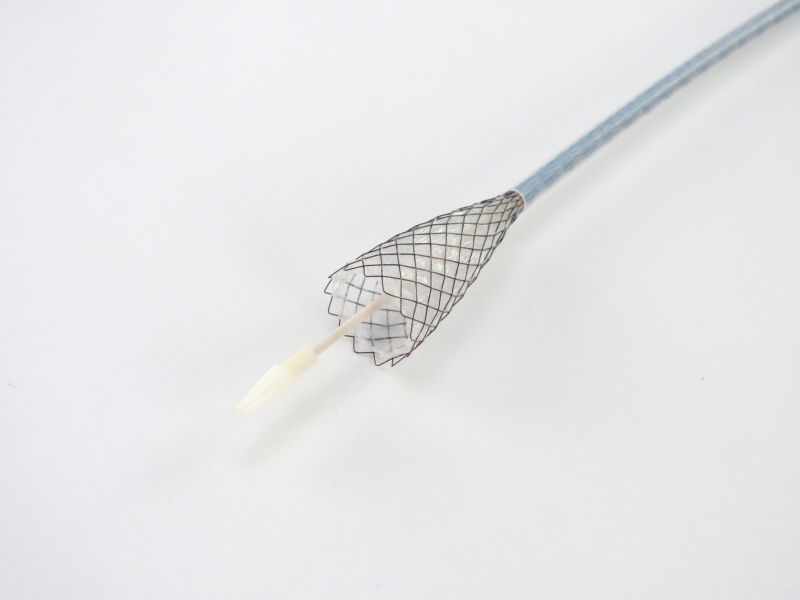 The stent has radiopaque gold markers for high visibility during fluoroscopy assuring precise stent positioning. 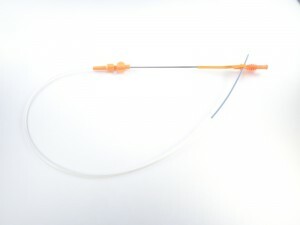 Delivery system and stent are available in a variety of lengths designed by us for use in dogs. 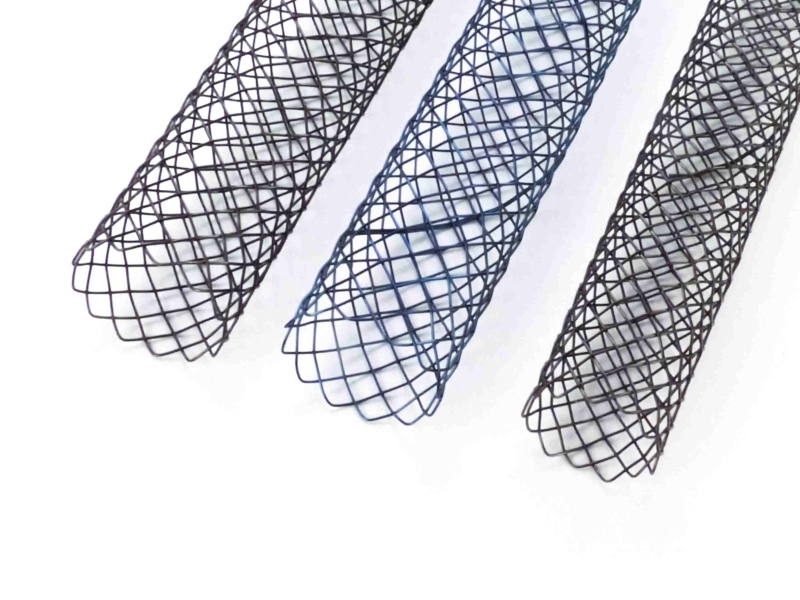 The delivery system is optimized for precise handling and accurate stent placement. 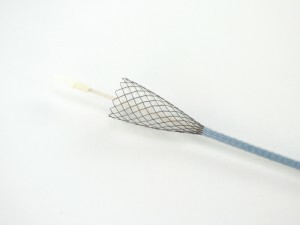 The stent is reconstrainable and can be repositioned before complete deployment. Stent layout and configuration shows excellent bending flexibility and keeps its shape even when forced into a tight radius and does not kink. This braided stent design was tested and improved by us to achieve higher radial resistive force values over radial compression when measuring hysteresis in tests. The radial strength and elasticity is optimized to resist the high radial compression forces that can occur in a dog’s trachea. Additionally, the atraumatic stent endings reduce mucosal trauma/injury and potential inflammation.